This study aims to find out how students prepared for a flipped classroom and to examine what type of instruction could effectively guide students to do pre-class preparation. We conducted case studies for over two years in a physiology class at a Japanese university. In a survey performed in 2017, students were asked to participate in a questionnaire and an interview. Their responses in the questionnaire indicated that there was a clear and positive correlation between their class preparation time and individual grades, while class preparation of some students was proven not so productive or efficient. By the same token, the student interview made clear that students were not well informed of what to focus on or how to prepare appropriately for the flipped classes. Based on the 2017 findings, we started to share learning objectives with students for their pre-class preparation in the 2018 course. Amid and after the 2018 spring semester, questionnaires were administered to examine the effectiveness of instructions for preparation, and of sharing learning objectives to measure the level of students’ metacognition. As a result, the students who continuously review the learning objectives achieved significantly higher grades than the students who did not. We also found that the level of students’ metacognition exerted a stronger influence on their grades than the amount of effort invested in reviewing the learning objectives for pre-class preparation. 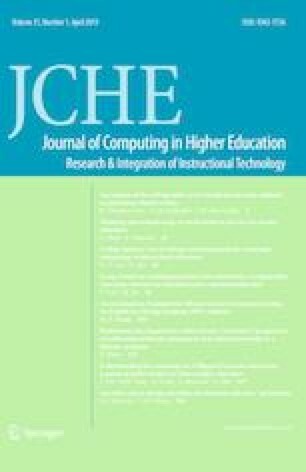 In conclusion, our study suggests that instructors should design a comprehensive flipped class model which maximizes the benefit of pre-class preparation time by envisioning that students’ preparation would be more sustainable and effective with proper guidance. We would like to express our sincere gratitude to Professor Shuji Kaneko at Graduate School of Pharmaceutical Sciences, Kyoto University for his kind support. Benesse Educational Research and Development Institute. (2017). Dai Sankai Daigakusei no Gakusyuu-Seikatsu Jittai Chosa (The third survey on the actual condition of university students’ living and learning). Retrieved October 20, 2018 from http://berd.benesse.jp/up_images/research/3_daigaku-gakushu-seikatsu_all.pdf.